SACRAMENTO, Calif. – Low-interest federal disaster loans are now available to Texas businesses and residents as a result of President Obama’s major disaster declaration, U.S. Small Business Administration (SBA) Administrator Maria Contreras-Sweet announced. 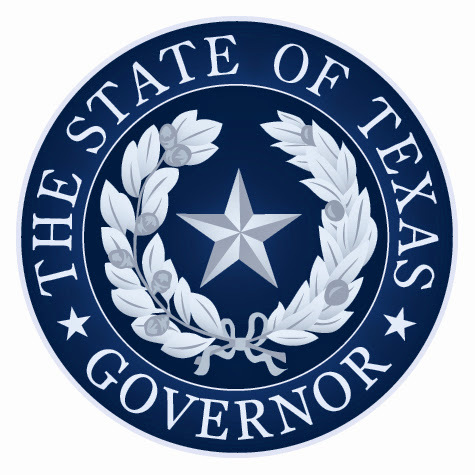 The declaration covers Austin, Brazoria, Brazos, Fort Bend, Grimes, Hidalgo, Hood, Montgomery, San Jacinto, Travis, Waller and Washington counties as a result of the severe storms and flooding that began on May 26, 2016. Interest rates can be as low as 4 percent for businesses, 2.625 percent for private nonprofit organizations and 1.625 percent for homeowners and renters with terms up to 30 years. Loan amounts and terms are set by SBA and are based on each applicant’s financial condition. Brazos County was declared eligible for Individual Assistance from the Federal Emergency Management Agency (FEMA) on June 11, 2016, due to the severe storms and flooding that struck the area on May 26-27. The declaration is Presidential Declaration, DR-4272-TX, for the May Severe Weather. Survivors from the May severe weather in Brazos County can start registering for FEMA Assistance by calling 1-800-621-3362 or online at www.DisasterAssistance.gov. If survivors have already registered with FEMA, they do not need to do so again. FEMA inspectors will begin making appointments with residents that applied for assistance after they submit their necessary insurance documentation to FEMA. In all presidentially declared counties for Individual Assistance, when an applicant registers with FEMA and becomes eligible for a Damaged Housing Inspection, the inspection is sent to a FEMA contractor inspector. The inspector contacts the applicant to set up an appointment for a time and date and also goes over what documentation needs to be provided for proof of residency. Then the inspector meets with the applicant at the residence and performs their inspection. More information will be forthcoming on this declaration and it’s ramifications for Brazos County as it becomes available. Inspector initiates contact with the applicant and sets an appointment date and time and requests the applicant to have appropriate identification with occupancy and ownership documents available for viewing at the time of inspection. Inspectors are trained to view but not confiscate any applicant provided documentation. Occasionally, a site visit is performed when the applicant has been unresponsive to the inspector’s attempts to call or meet or, when appropriate, the inspector identifies the applicant’s damaged dwelling location to be in a close proximity to a concurrent inspection and when the applicant appears to be available. The scope of an inspection for owners includes the recording of real and personal property (furnishing and appliances) damages to the interior and exterior of the dwelling, addressing special needs, transportation, unmet needs and miscellaneous purchases. Inspectors do not record real property specifications for renters. Inspectors are allowed to contact landlords to verify occupancy of rental property. Upon the first meeting with the applicant, the inspector introduces himself presenting his photo identification validating his appointed position to perform inspections as an independent contractor under contract with the inspection firm. Inspectors will ask the applicant to sign a “Declaration and Release” form commonly known as the 9069 form (Technically 009-9-3 English, 009-0-4 Spanish). The signature can be done electronically or in some situations as a paper form. The form includes a space for the applicant to sign his or her name and date of birth and a check box that affirms citizenship status. The inspector proceeds validating the applicant’s name, addresses, contact information, proofs of ownership and occupancy and insurance. An applicant interview continues validating: the number of members living in the dwelling at the time of the event; the number of bedrooms occupied on a nightly basis by the household; clothing losses; any medical, transportation or miscellaneous purchases (i.e. humidifier). The inspector informs the applicant of his need to view the entire dwelling for disaster and non-disaster related damages. The inspector begins a physical assessment of real and personal property damages utilizing available specs in the ACE software. Additionally, the inspector will record unaffected rooms and undamaged appliances to affirm applicant needs. Inspectors are usually trained to assess damages from the rooms at the top of the house down with the basement being the last area of assessment. The inspector records the size of the residence, foundation and dwelling types and when applicable – records a high water mark. Appropriate comments are noted and included within the record. Note, inspectors will confirm if the dwelling is not accessible due to a disaster related blockage to public infrastructure such as roads; or when a community utility is affecting the applicant’s home, such as an electrical or water outage. During the course of the inspection, the inspector will take a minimum of 2 photographs (interior and exterior) with a focus on the damages that support the habitability determination and/or addresses areas of significant real property or personal property damages. Inspectors are asked to not take photographs of applicants or family members or to take photographs of personal assets or belongings such as jewelry and other personal items. The Inspector concludes the assessment when verifying the habitable condition(s) of the dwelling. The inspector asks and records the applicant’s response in regard to their plans to relocate from the dwelling due to the incident. The Inspector then performs an exit interview informing the applicant on what to expect next from the Agency. The inspector only records observed disaster related damages and does not determine eligibility or damage awards levels. FEMA’s policies and business rules determine eligibility and award levels based upon the damage assessment and other available information such as estimates from a licensed contractor for specific repairs.